It’s the fetal position, our oldest, most common, and most familiar position. Whether you’re somehow thrown into this position or assume it voluntarily, and if you’re inclined to pray – as a believer or sometimes believer – try these four words on for size: Have mercy on us. We are not qualified to say anything more. NO EXCEPTIONS. Make little fists, no finger pointing. 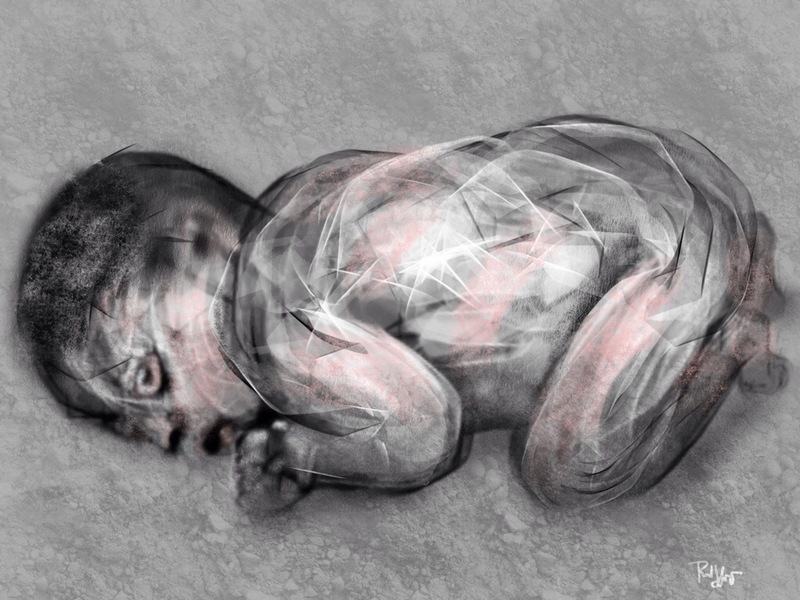 This entry was posted in Digital Artwork, iPad Art, Sketches and tagged fetal position, prayer, Procreate, self-destruction, war by portfoliolongo.com. Bookmark the permalink. Ok, make that five words. Good grief, I sound so dogmatic and doctrinal. I’m not.